BIRTH: Traditionally 1584, but something closer to 1587 seems more probable, probably in co. Lancashire, England. FIRST MARRIAGE: Rose, probably not long before 1619 or 1620, since they had no children yet. SECOND MARRIAGE: Barbara, sometime about 1623 at Plymouth. CHILDREN (by Barbara): Charles (died young), Alexander, John, Myles, Lora, Josias, and Charles. DEATH: 3 October 1656 at Duxbury. This modern portrait of Myles Standish by Mike Haywood. It is based off a portrait that was purported to have been done in London in 1626. 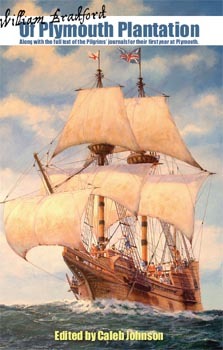 Prints of this portrait can be obtained in the MayflowerHistory.com Store. Myles Standish's birthplace has been the subject of great debate. Those who believe he was from Lancashire point to the following evidence: Nathaniel Morton, writing in his 1669 book New England's Memorial, states that Standish was from Lancashire; Myles Standish owned a book about the former head of the Rivington Grammar School in Lancashire; and Standish named his American residence "Duxbury," which may have been a reference to his ancestral home, Duxbury Hall, Lancashire. Those that believe he was from the Isle of Man point to the lands enumerated in his probate will that were "surreptitiously detained" from him (including lands on the Isle of Man itself); these lands all belonged at one time to Thomas Standish, of the branch of the Standish family from the Isle of Man. In September 2006, Jeremy D. Bangs supplied a scholarly review of the evidence and controversy in "Myles Standish, Born Where? ", Mayflower Quarterly 72:133-159. Myles Standish is alleged to have joined Queen Elizabeth's army and attained the rank of Lieutenant, but the documentation for this claim was lost in the 1920s without having been published or transcribed, so may be suspect. 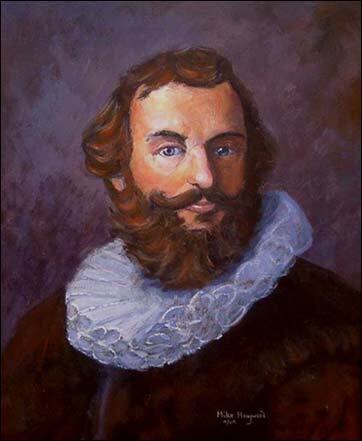 In any case, Standish was certainly a part of Queen Elizabeth's army, and was stationed for a time in Holland where he eventually met and became well acquainted with John Robinson and the Pilgrims who were living in Leiden. 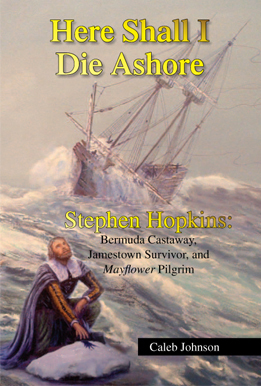 Standish was hired by the Pilgrims to be their military captain, to establish and coordinate the Colony's defense against both foreign (French, Spanish, Dutch) and domestic (Native American) threats. This iron cooking pot is believed to have belonged to Myles Standish. It is on display at the Pilgrim Hall Museum in Plymouth. Standish led or participated in all the early exploratory missions sent out to explore Cape Cod, and was heavily involved in selecting the site where the Pilgrims would settle. He was one of the few who did not get sick at all the first winter, and is recorded as having greatly helped and cared for those who were sick. He organized the deployment of the colony's cannons and the construction of the fort at Plymouth. He led both trading expeditions and military expeditions to the various Indian groups in the region. He led the party that went in pursuit of the alleged killers of Squanto (who was later discovered to be safe). He led the revenge attacks on the Indians in the Massachusetts Bay after they were caught in a conspiracy planning to attack and destroy the Plymouth and Wessagussett colonies; several Indians were killed or executed, for which Standish received some criticism, even from his friends, for being too heavy-handed. Standish was heavily involved in numerous aspects of Plymouth Colony, from defense to keeping the law. He was on the receiving end of John Billington's verbal wrath in 1621 (Billington refused to follow the captain's orders), and was called a "silly boy" in a letter that was sent out during the Oldham-Lyford scandal of 1624, and was noted for his short stature and for his quick temper. He was sent to arrest Thomas Morton in 1628, for which he received the nickname "Captain Shrimp" from Morton. William Hubbard reported Standish's temper was like a "chimney soon fired". 17th century image of a man in armor with musket. Myles Standish would have worn similar armor, clothing and used similar weapons to those seen here. Despite the heavy criticism by his enemies, Standish was well respected within the Plymouth Colony, and held a number of positions of authority. He made several trips to England to bring trading goods back and to negotiate with the Merchant Adventurers who had financially sponsored the joint-stock company that funded the Pilgrims' voyage. In the mid-1630s, Standish moved his family and helped found the town of Duxbury, which may have been named after his ancestral home. Standish was an heir to a fairly sizeable estate in Lancashire, but his lands were lost during the English Civil War, and neither he nor his son Alexander were ever able to legally regain control of the estate. 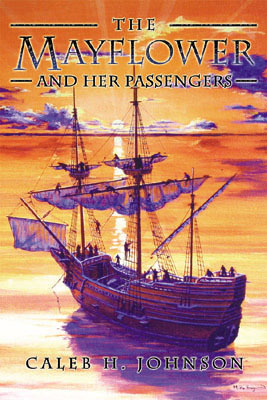 Myles Standish's first wife Rose came with him on the Mayflower, and died the first winter. His second wife, Barbara, arrived on the ship Anne in 1623, and they were apparently married before the year was out. Nothing is known about either of his wives: there is absolutely no indication they were his cousins, as has sometimes been claimed. Standish lived out his later years in Duxbury, dying in 1656 "after his suffering of much dolorous pain," apparently from kidney stones.